The capital of southwest Germany’s Baden-Württemberg state is also the manufacturing capital of Germany with Bosch, Mercedes-Benz and Porsche having their headquarters and museums here. 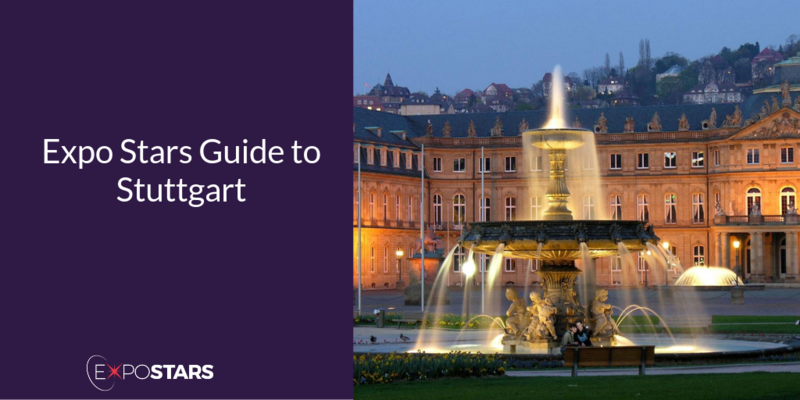 Stuttgart is an attractive economic location, Germany's largest exporting metropolis and is considered the number one high tech region in Europe. Stuttgart is thought of as one of the most innovative and dynamic regions for conducting business, in the world, and with its wealth of education facilities, research institutions, science and manufacturing sectors here it make it an incredibly appealing location to exhibit. Once you arrive at Stuttgart International Airport, getting into Stuttgart itself is easy with the extensive and reliable, public transport network. Stuttgart is famous for its many parks and green spaces. And because it is such a multiethnic city, it has a great cultural scene, vineyards in the centre of the city, mineral baths for relaxation and an epic Christmas market: in short, the city is all about a high quality of life. Alaturka - If you’re into Turkish food, look no further, this is the place for you. Christophorus - A restaurant with Mediterranean and regional delicacies along with a wide collection of wines. This place is famous for its steaks.